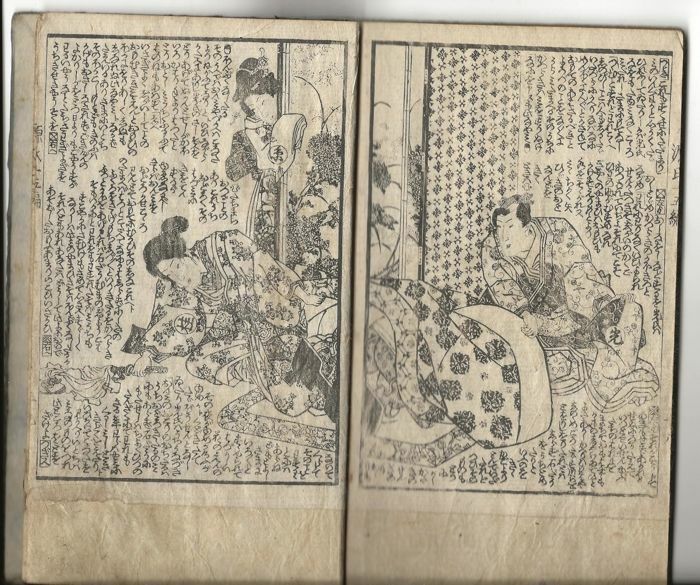 Nisemurasaki inaka genji (『偐紫田舎源氏』Shimoku Masakazu Inaba Kenji) was the unfinished length feature combined volumes of yūtei, tanehiko（柳亭種彦, 1783-1842）. 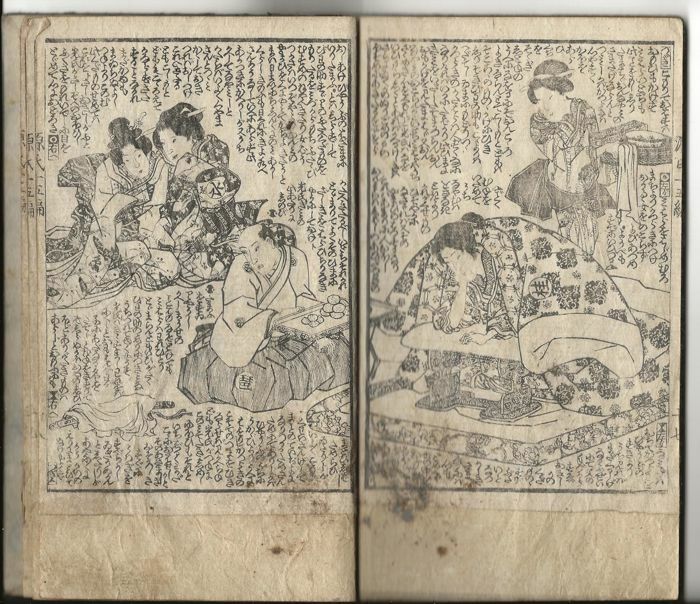 The illustrator was famous Kunisada Utagawa (歌川國貞, 1786-1864). 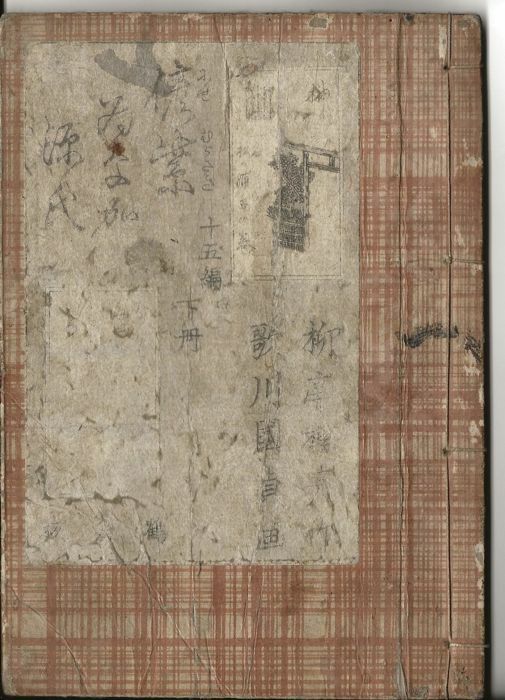 It was published from Bunse 12 (文政1829) to Tenpo 13 (天保1842). 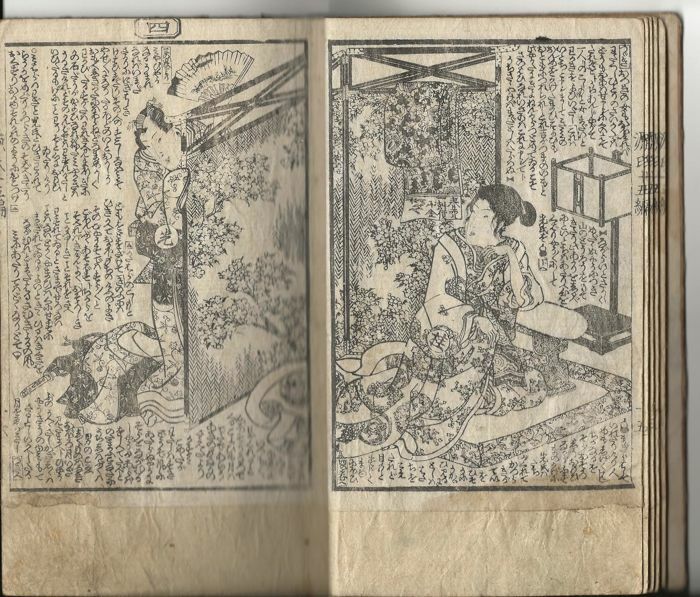 The author won the big prize and wrote it over 14 years and became a representative work of Teruhiko (種彦), but it ended by the 38th edition (152 volumes in total) due to the author's writings and death. 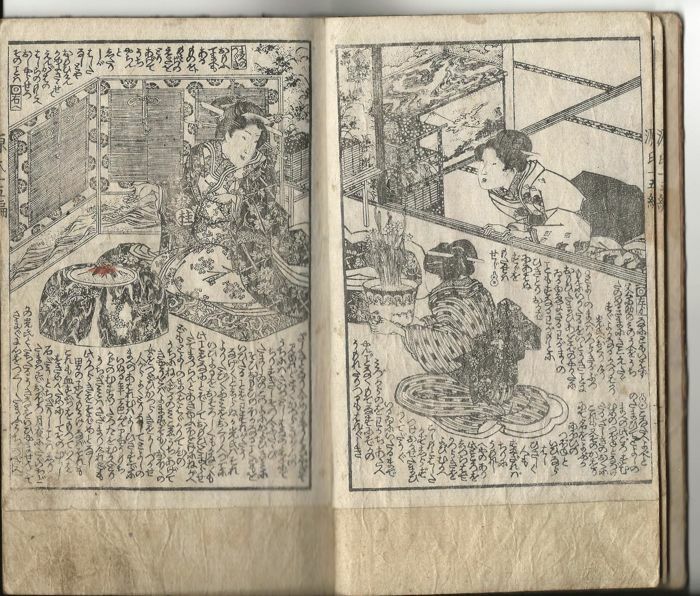 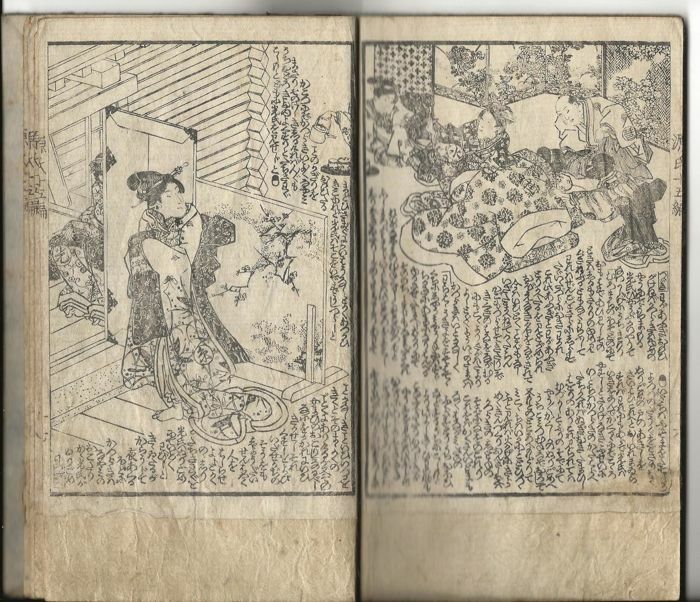 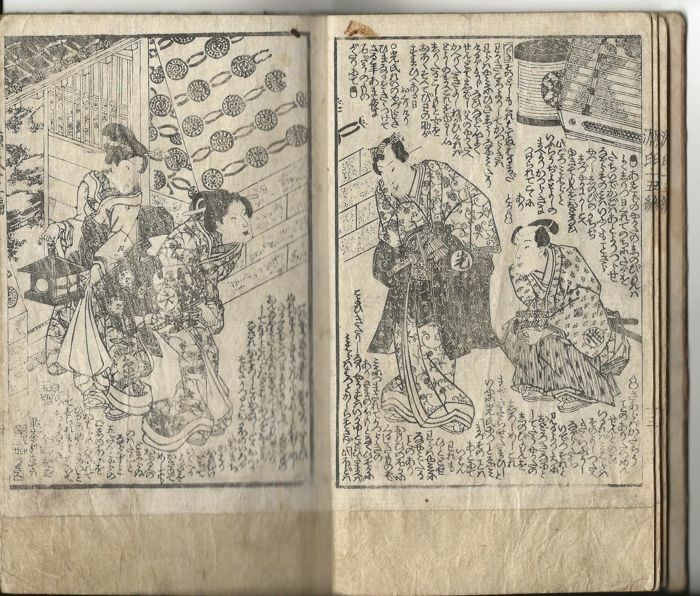 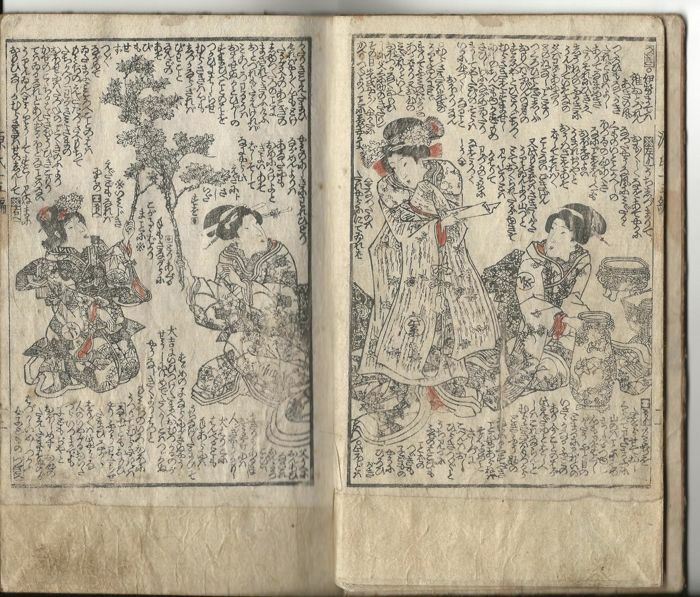 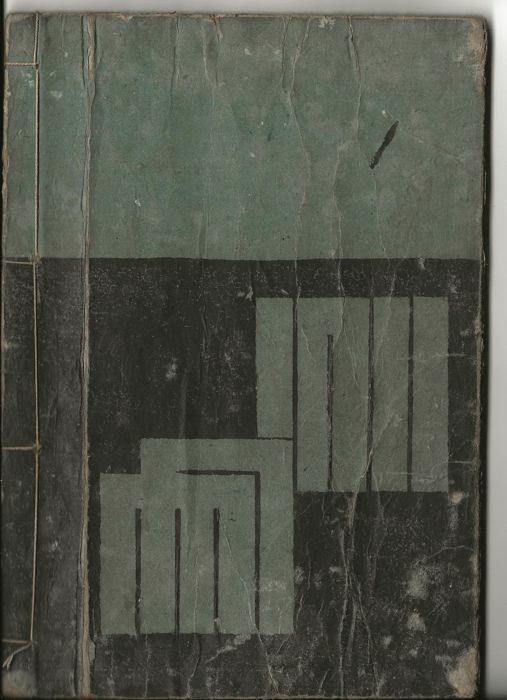 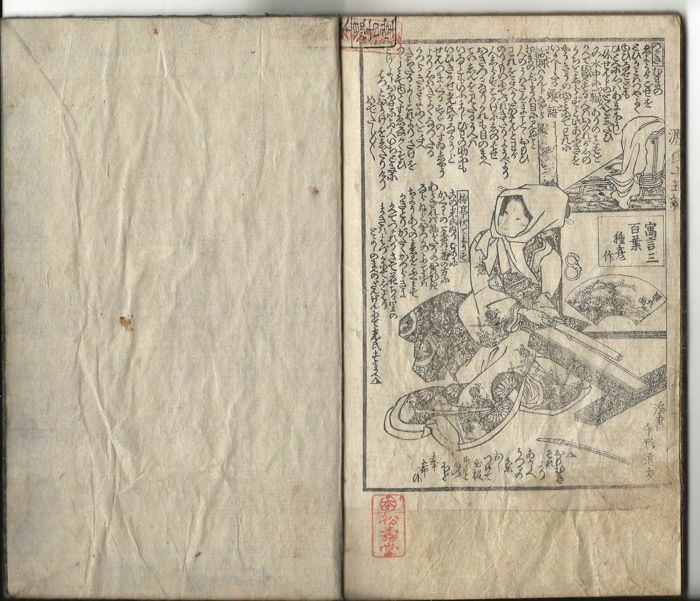 This is the 2. volume (下冊) of the 15th edition (十五編) published in 1835 (天保6年) with 20 pages of very fine woodblock prints of Kunisada Utagawa (歌川國貞) in 2 chapters (三 and 四). 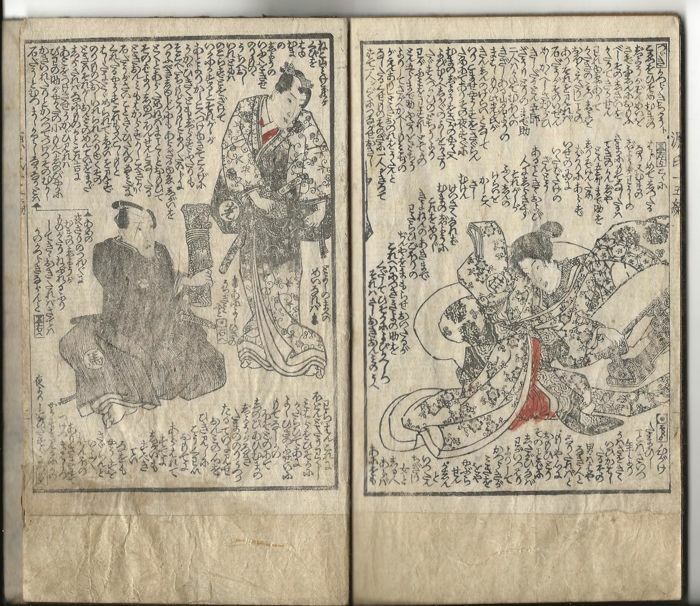 Top page and end page have a red seal Seimo Arimatsu (松壽堂) and a black seal Hekkodo（溫古堂）. 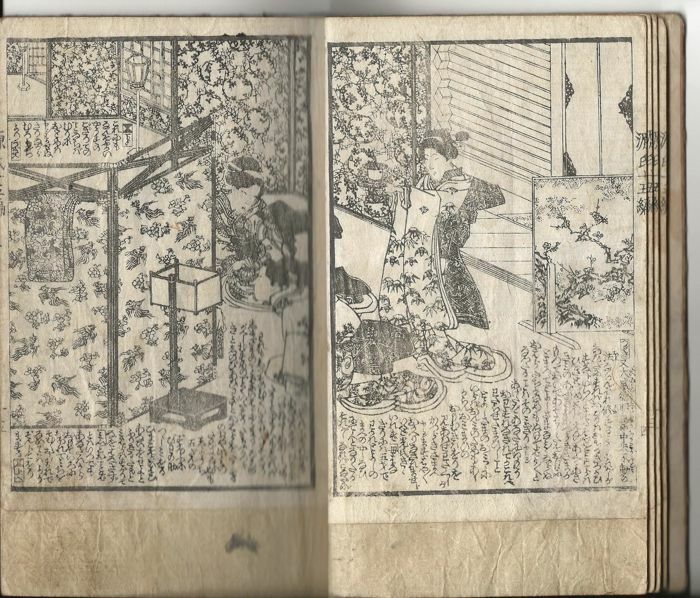 The content of the book "Nisemurasaki Inaka Genji " (『偐紫田舎源氏』) an imitation of the book "Genji Monogatari" (《源氏物語》) which is a novel written by the famous Japanese female writer Zi Zhe (紫式部) between the third year of Changbao (長保) and the fifth year of Kuanhong (寬弘) from 1001 to 1008). 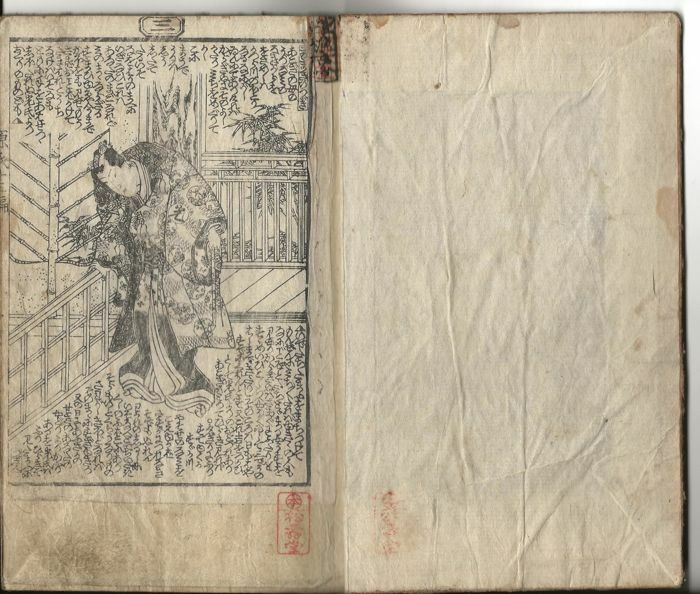 The book "Nisemurasaki Inaka Genji " (『偐紫田舎源氏』) described series of romances that occurred in the harem of the eleventh-generation general Tokugawa Izumi (德川家齊,1773—1841), who had 40 concubines and 55 children.